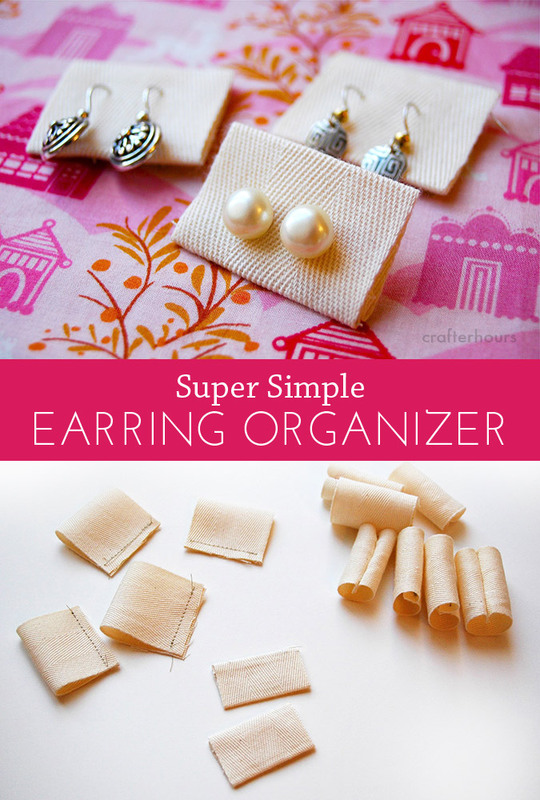 If you like keeping pairs paired, this little earring organizer will make you happy. They soften the jangling about that happens in drawers and travel bags without concealing anything because “out of sight, out of mind” is a THING, just like your mom told you. Both with lunch leftovers squirreled away AND with fun earrings you mean to wear more often but forget because you hid them from yourself in the pretty box they came in. 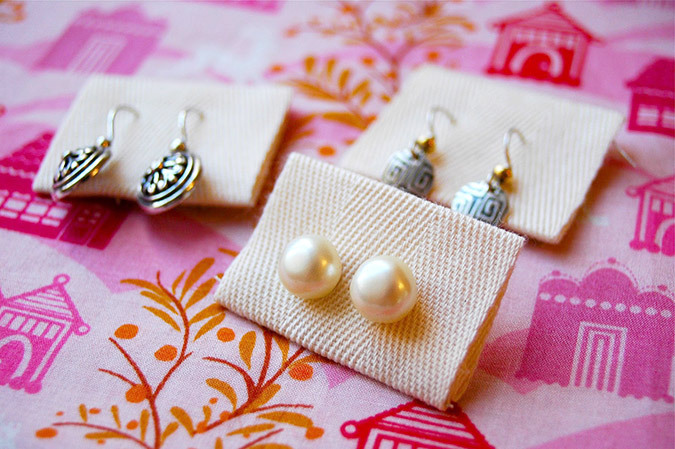 I originally shared these simple earring organizers years ago in this post and I still use them all the time. I like the sizes to vary a bit but I start with about a 3″ length of twill tape. Mine is 2″ wide. Ribbon works well, too – whatever you’ve got. Want to use fabric? Go for it! Just finish the edges first! 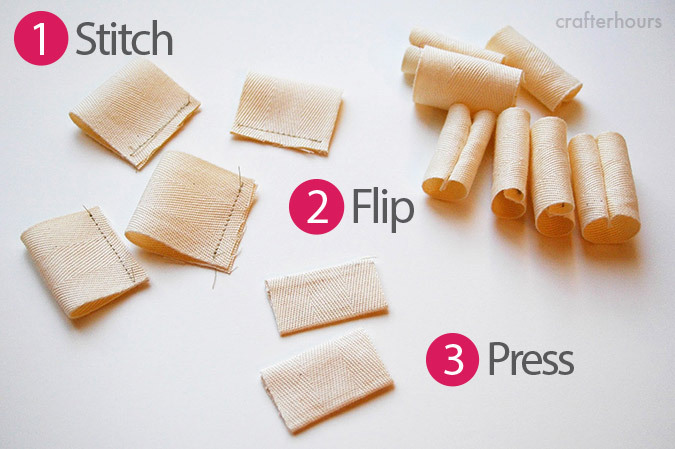 Fold and stitch the ends together. Press flat. With your fingers or with an iron, as you like. That’s it! Add one pair of earrings to each flattened loop and your pairs are squared! Pin this for later – they make great gifts!